Two laminated plywood shells slot together to form this chair by Berlin designer David Geckeler without any metal fixings. Called Nørd, meaning nerd, the design won last year's Muuto Talent Award and has now been put into production with the Danish brand. David Geckeler and his Nerd Chair won Muuto’s design competition for Scandinavian design schools in 2011. 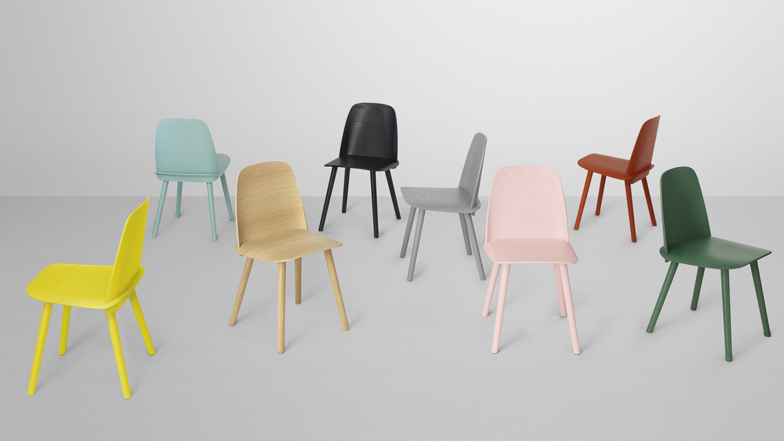 Now his independent and unique take on an all-wood chair joins the Muuto collection. Muuto’s new Nerd chair combines an impeccable sense of craftsmanship with a strong personality while still maintaining a certain simplicity. Through the innovative integration between seat and back, the precise detailing and the organic shape, David Geckeler has created a chair with an iconic and unique appearance.